Every businessman is aware of the fact that a new business needs an aggressive marketing campaign to make its place among already established businesses. The marketing technique should not only be directed towards engaging most number of customers but it must also be cost effective according to the expenses manageable by any new corporation. Marketing a product or service in a right way is important for any business but it is utmost necessary for any new business especially and it can’t expect to grow without carrying out such campaign. In fact, the initial growth of any company primarily depends on the scope of its marketing. A company will require conveying its message to as many people as possible in little time in order to grow its business. Such type of advertising campaign is especially useful in a business-friendly area like Dubai where businesses are mushrooming continuously and marketing plays important role for both new and already established businesses. Nowadays, IT is given lot of importance for marketing of products and services as they are considered to provide targeted customers to any business. But it doesn’t mean that other means of advertisements have lost their charm and importance. Dubai has one of the world’s most distinguished population due to presence of people from all around the world. Apart from that, the city has one of the world’s best road and transport systems that is used by millions of people (both residents and citizens) every day. In these circumstances, an ideal advertising mode for any business is the use of bill board advertisement in the city. Businesses can adopt any of these advertisement techniques according to their requirement and the expanses they can bear. 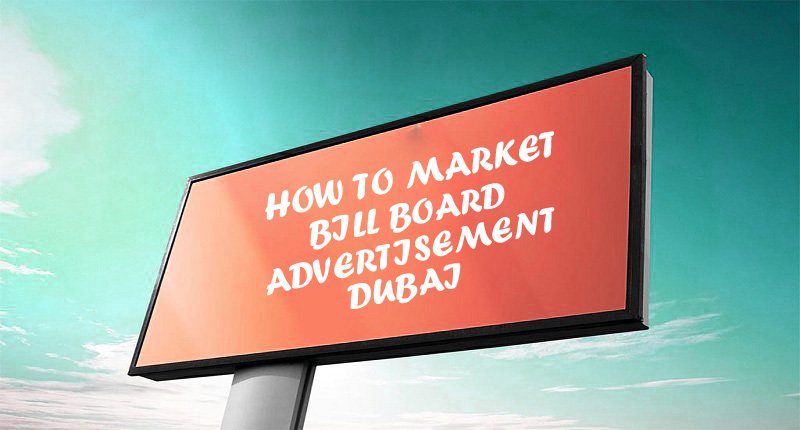 Therefore, the chances of growth of billboard advertisement business are bright in Dubai. In this case, approval from National Media Council Dubai is required for opening an advertisement company. If you want to acquire such lucrative advantage in Dubai by establishing an advertisement company then we at Riz & Mona Consultancy are here to serve you. You can contact us via our WhatsApp # 971-56-9971225 and we will do complete work for you for registration of your advertising company in Dubai.